Student-loan debt is a topic being raised at both the local and national levels. Frequently, media stories describe the challenges and struggles of recent graduates as they try to fulfill their student-loan repayment obligations. At the University at Albany, we remain committed to helping students navigate the financial-aid process while in school – and often, after they graduate. And while we are pleased to report that UAlbany students’ average loan indebtedness amounts to $5,000 less than the national average, Office of Financial Aid staff are concerned about student debt and default. Today, helping students understand the importance of loan repayment and the options available to them is becoming more critical as they transition to post-college life. The following tips will assist UAlbany alumni in formulating practical loan-repayment strategies. Identify your U.S. Department of Education-assigned federal loan servicer(s). If you do not know this information, find out at the National Student Loan Data System (NSLDS) website (www.nslds.ed.gov). You will need your Free Application for Federal Student Aid (FAFSA) personal identification number (PIN) to access your information. A duplicate PIN can be obtained at www.pin.ed.gov. Do not wait for your servicer to contact you, as your contact information may be outdated. Please note that any private student loans you may have borrowed are not included in the NSLDS site. Work directly with the lender from which you borrowed the private student loan. Under income-based repayment options, payments change as your income changes. Last year, the Department of Education’s Federal Student Aid Division emailed approximately 3.5 million students nationally, advising them of the availability of such plans. At the time this article was written, students were automatically enrolled in the Standard Repayment Plan, where payments are a fixed amount for up to 10 years. Under this plan, the minimum payment is $50 per month. However, individuals who are having financial difficulties may qualify for income-based plans, such as Pay as You Earn. Under income-based plans, the payment amount is capped based on a percentage of the individual’s income and the number of years to repay the loan is extended, with loan forgiveness after a specified number of years. You may want to use a loan-repayment estimator prior to contacting your loan servicer to help you determine which repayment plan may be your best option. 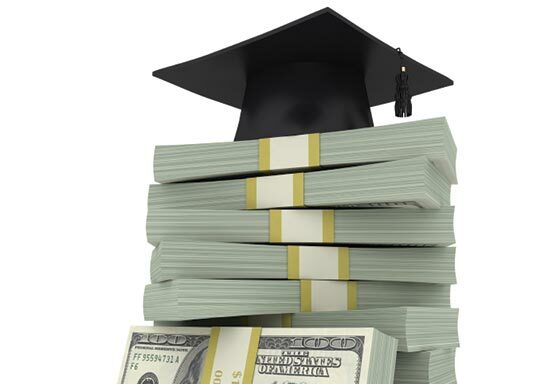 Further details on federal student-loan repayment plans are available at www.studentaid.gov. This site has a repayment estimator, as well as information on loan consolidation, forgiveness, cancellation and discharge. Keep in mind that if you are continuing your education as a degree-seeking student and enrolled at least half time, in-school deferment options may be available to you. Understanding your options for educational loan repayment is essential to securing a healthy financial future. Be proactive. Avoid misinformation by using the federal sites listed above. Seek help if you are struggling to make your student-loan payments. Your UAlbany education is a great lifetime asset and one of the most important investments you have made, to date. Continue to protect that investment after graduation with an informed and well-planned loan-repayment plan.